Twitter is one of the biggest social media sites in the world and to be frank, it’s rather addictive and fun. It’s also a great platform for car dealerships to establish their brand and participate with current and prospective customers. 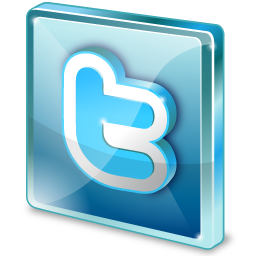 You can use Twitter as a social media marketing tool to announce any special deals or news about your auto dealership. Experts also believe that a strong social media presence may even influence organic SEO rankings. Here are a few tips to help you make the most of your Twitter account. If you have an official company name, you will want to select that as your Twitter handle. Your handle is also known as username and this will be seen by others. Every Twitter account has a description field right under your handle, with a brief summary of what you are all about. It’s a good idea to include some prominent keywords in this section. However, make sure to include the keywords in a description that makes sense and is readable. Don’t spam and simply list a set of keywords. You may want to write about the products or services that your company provides. Car dealers may want to use words such as “used cars”, “auto dealership” and even mention the make and model of their vehicles. Follow other members of Twitter that are relevant to your niche. For example, if you own a car dealership, you’ll want to follow automotive enthusiasts, online auto magazines, and “influencers” such as Motor Authority and Edmunds. Influencers are individuals or companies that are well-known in the field and have a solid reputation and a steady following. You’ll get that much more exposure if they follow you back or if they retweet something that you’ve posted. For SEO purposes, you may want to include keywords in your tweets. For example, if your business sells Honda cars you may want to mention the great deals you are having today on, say, the Honda Accord. You’ll want to mention auto-related keywords such as cars, autos, automotive, etc. However, there’s no need to mention them all in one tweet; just one at a time will suffice. Also, not every single tweet has to include keywords. Just remember that you will want to focus the majority of your tweets about cars. You’ll quickly alienate your followers if you keep tweeting about your company and tweeting the same thing ad nauseam. Twitter is a community, so interact with others and participate in discussions. Feel free to ask questions to a follower or comment on something interesting they may have just posted. There is a fine line between self-promotion and spamming. Posting worthwhile tweets also increases the chances that you will be retweeted. About the author: This was written by Paulina Thomas, an author who enjoys writing about the auto industry and marketing. She’s a big fan of the Honda Accord Los Angeles because it’s affordable and fuel-efficient.